New study Proove the damage by high pesticide usage. Now you can produce Bio fertilizer without any laboratory and skills !!!! Vise Organic Developed A new technology to produce various bio fertilizers for farmers, Under the brand Name "MyLab". 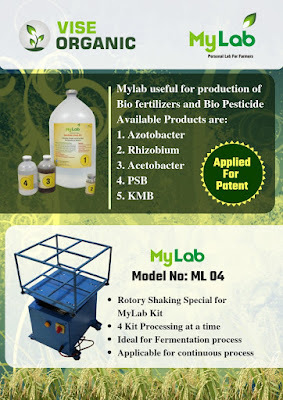 Mylab is revolutionary technology bring farmers to use biofertilizers and bio pesticide at very low cost. 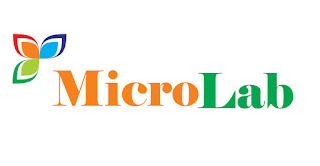 MyLab technology is patentable technology, company already filed for patent in India. Bio fertilizer market is growing tremendously in India, with the help of this new invention, utilization of biofertilizer boost to 3 to 4 times than current uses. Technology requires One shaker machine to continuous shaking of kit for better production of microbes. Exciting rate of products attracts farmers to use the product.